Ultherapy™ offers patients a nonsurgical skin tightening of the face and neck to restore youthful contouring to the area. 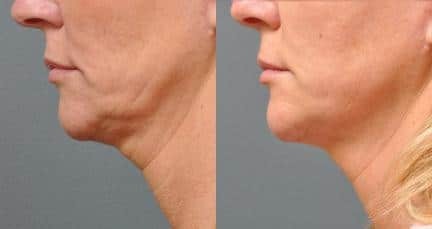 Loose skin of the jawline can affect a person’s appearance whether it occurs through the natural process of aging or is brought on by extreme weight loss or genetics. The facial shape becomes distorted, and even fit individuals may appear to carry extra weight. Aside from use on the chin and neck, Ultherapy is also effective for use on the brow, nasolabial folds, and chest. Ultherapy uses safe ultrasound energy to firm and lift the skin, and it is the only energy-based aesthetic procedure that has been FDA-cleared for non-invasive skin tightening. This procedure strengthens the skin internally at the cellular level for excellent cosmetic results. After one or two treatments, the skin is instantaneously improved and over time will appear more refreshed. 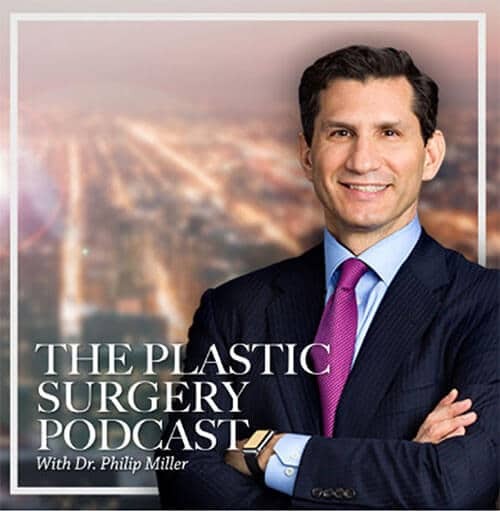 Manhattan facial plastic surgeon Dr. Philip J. Miller is pleased to be among the first in the area to offer the new Ultherapy procedure for lifting and toning loose, lax skin. Ultherapy is unique in that it allows the physician to visualize the layers of skin in order to target the treatment area with ultrasound energy delivery. When the ultrasound energy is applied, the body’s natural response mechanism is triggered to replace tired, old collagen with fresh, new collagen. Collagen is a structural protein that is crucial to the health and appearance of the skin. Skin laxity is the result of changes in the skin. Results can be seen immediately with continued improvement occurring over the next two to three months as the newer, stronger collagen continues to form. The effects of Ultherapy can last one year or longer. As cosmetic medicine evolves, there are more options available to patients seeking minimally and non-invasive cosmetic treatments. Ultherapy is less costly than traditional facial plastic surgery and does not require a recovery period. There will be no scars left behind, and any risk of surgical complications is nonexistent. While results may not be permanent, just a few treatments a year allow patients to maintain their results. The entire face can be treated in less than one hour. Ultherapy is also effective on the face, chin, neck, and chest, which can provide optimum rejuvenation at a fraction of the cost of surgically modifying each of these areas. Ultherapy is an innovative treatment available to both men and women with mild to moderate skin laxity. It can be particularly effective in treating a drooping brow for a more ‘open’ appearance to the eyes and a more refreshed look overall. In fact, clinical studies with Ultherapy have shown consistent lifting of the brow after just one treatment. In the past, forehead surgery (brow lift) was one of the only options available to combat an overhanging brow. Ultherapy has also been effective in softening the creases around the nose and mouth, creating a generally firmer skin feel and producing a slimmer, more youthful look around the cheeks and neck. Aside from treating mature skin, Ultherapy can benefit younger patients who are taking a proactive approach to anti-aging. This treatment allows patients of this demographic to maintain healthy collagen and their youthful looks. It is also a good complementary treatment to other skin rejuvenation procedures that target surface issues. As the skin matures, the collagen fibers that provide internal support become worn. Ultherapy’s ultrasound energy reaches deep below the surface of your skin to initiate your body’s own natural repair process. Over time, this results in the creation of new, healthy, strong collagen and a variety of positive skin changes. Because the rejuvenation process occurs naturally, it occurs gradually. Just as strengthening muscles or growing taller takes time and is not evident from day to day, the effects of Ultherapy build slowly and subtly. In this world of immediate feedback, we want to reassure you that patience is a virtue, and that results can take two to three months to unfold. Responsiveness varies from patient to patient, and, in some infrequent cases, the results are “subclinical;” that is, the collagen rebuilding on the inside does not become readily apparent on the outside. In the early days following treatment, patients commonly report a firmer skin feel and, as an added bonus, a smoothing out of fine lines. While this immediate “plumping effect” is temporary, it signals that the beneficial process of new collagen generation has begun. A. Ultherapy is a face and neck treatment that utilizes micro-focused ultrasound for non-invasive tissue lifting of the area of the face, neck, and décolleté or chest. The session is performed by an aesthetic professional through the use of a handheld device that delivers energy to the skin. The results are a natural-looking enhancement to the treated areas. Q. Is treatment with Ultherapy painful? A. While pain responses will vary from patient to patient, any pain associated with Ultherapy is generally mild. It is often described as a 4 on a scale from 1 to 10 with 10 being the most painful. Pain medications and topical treatments can be discussed at an in-person consultation at Dr. Miller’s New York office. A. Treatment times will vary depending on the area being treated. Small areas can take as little as ten minutes to complete while larger or multiple areas may take an hour. If patients opt to have multiple sites addressed, the session will be extended accordingly. Q. How soon will results be visible? A. While this will vary from patient to patient, many will notice immediate results with continued improvement occurring over the next three months following treatment. Because the ultrasound technology promotes the formation of collagen at the cellular level, the makeup of underlying layers of skin will actually improve over time. It is when these structures are weakened that wrinkles and excess skin form, and Ultherapy addresses these changes. Q. Is more than one Ultherapy treatment session required for the best results? A. In some cases, it may be advantageous to undergo more than one session. Patients can determine if they would like additional treatments after viewing results from their first session. A. During the procedure, the collagen cells are injured and are sent into repair mode. When prompted, the new cells are rejuvenated, which provides healthier skin and excellent cosmetic results. Q. Is there a recovery period following treatment? A. There is no downtime following treatment with Ultherapy and patients are able to immediately resume all normal activities. Q. Are there any treatment side effects? A. While some slight redness may be present during the first hour after treatment, there is no bruising and little to no swelling. Some pain and transient nerve effects have been noted. A. Ultherapy slows down the aging process, with results lasting an average of 12-18 months. Q. How is Ultherapy different than Thermage or other laser treatments? A. Ultherapy is completely unique in that it treats the skin from the inside out. This is not a surface treatment. Instead, it reaches deep into the muscular layer for a more lifted, refreshed appearance. 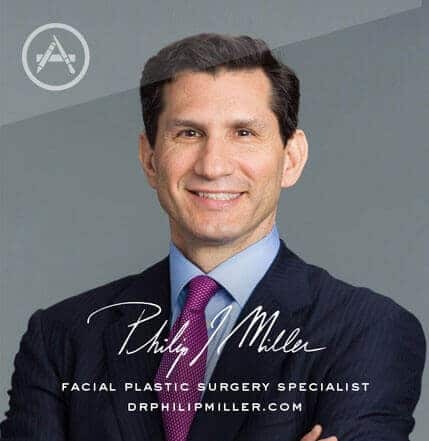 Facial plastic surgeon Dr. Miller has over 20 years of experience in aesthetic medicine. The doctor has been chosen among the Best Doctors in America for the past decade as well as awarded the title of a Top Doctor of New York. 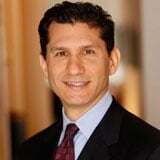 He is known for his use of the latest technologies in nonsurgical facial plastics. Contact Dr. Miller’s New York office to schedule an Ultherapy consultation.